Fairview is a city in Brown County, Kansas, United States. As of the 2010 census, the city population was 260. Fairview was founded in 1872. It was named for its scenic setting. Fairview is located at 39°50′24″N 95°43′39″W﻿ / ﻿39.84000°N 95.72750°W﻿ / 39.84000; -95.72750 (39.839885, -95.727369). According to the United States Census Bureau, the city has a total area of 0.37 square miles (0.96 km2), all land. As of the census of 2010, there were 260 people, 130 households, and 71 families residing in the city. The population density was 702.7 inhabitants per square mile (271.3/km2). There were 146 housing units at an average density of 394.6 per square mile (152.4/km2). The racial makeup of the city was 93.8% White, 1.9% African American, 0.4% Native American, and 3.8% from two or more races. Hispanic or Latino of any race were 0.8% of the population. There were 130 households of which 16.9% had children under the age of 18 living with them, 45.4% were married couples living together, 9.2% had a female householder with no husband present, and 45.4% were non-families. 39.2% of all households were made up of individuals and 15.4% had someone living alone who was 65 years of age or older. The average household size was 2.00 and the average family size was 2.69. The median age in the city was 51.3 years. 17.3% of residents were under the age of 18; 5.3% were between the ages of 18 and 24; 16.1% were from 25 to 44; 36.1% were from 45 to 64; and 25% were 65 years of age or older. The gender makeup of the city was 49.6% male and 50.4% female. As of the census of 2000, there were 271 people, 132 households, and 71 families residing in the city. The population density was 912.0 people per square mile (348.8/km²). There were 149 housing units at an average density of 501.4 per square mile (191.8/km²). The racial makeup of the city was 95.20% White, 3.32% African American, and 1.48% from two or more races. Hispanic or Latino of any race were 1.11% of the population. There were 132 households out of which 22.7% had children under the age of 18 living with them, 47.0% were married couples living together, 6.8% had a female householder with no husband present, and 46.2% were non-families. 45.5% of all households were made up of individuals and 27.3% had someone living alone who was 65 years of age or older. The average household size was 2.05 and the average family size was 2.93. In the city, the population was spread out with 20.7% under the age of 18, 4.8% from 18 to 24, 24.4% from 25 to 44, 24.7% from 45 to 64, and 25.5% who were 65 years of age or older. The median age was 45 years. For every 100 females, there were 86.9 males. For every 100 females age 18 and over, there were 90.3 males. The median income for a household in the city was $31,250, and the median income for a family was $51,607. Males had a median income of $33,333 versus $17,917 for females. The per capita income for the city was $22,789. About 11.0% of families and 9.7% of the population were below the poverty line, including 6.8% of those under the age of eighteen and 15.3% of those sixty five or over. Although Fairview is mostly a bedroom community to the employees and students of nearby Sabetha and Hiawatha, a few businesses thrive. Services available from local business owners include welding, electrical, trash collection, and plumbing. The Fairview Enterprise is the weekly paper, published in the same building since 1931. The city has also successfully maintained a post office. Fairview is also currently home to Curb Roller Manufacturing which does business worldwide. ^ a b "American FactFinder". United States Census Bureau. Retrieved 2012-07-06. ^ "2010 City Population and Housing Occupancy Status". U.S. Census Bureau. Archived from the original on July 21, 2011. Retrieved April 9, 2012. ^ Kansas State Historical Society (1916). Biennial Report of the Board of Directors of the Kansas State Historical Society. Kansas State Printing Plant. p. 149. 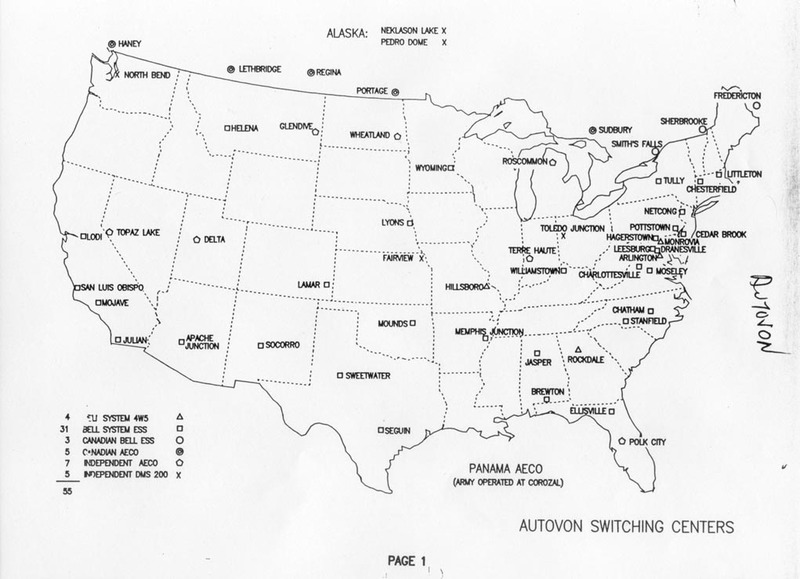 ^ Former Autovon Switching Centers. This page was last edited on 22 January 2019, at 12:27 (UTC).